All decks cleared for Kamal Haasan's Uttama Villain release, said Lingusamy confirming the release date as May 1st, on May Day. The producers council has said all issues related to the film has been amicably settled. Lingusamy of Thirupathi Brothers, Kalaipuli S Dhanu and Abirami Ramanathan have arranged a formal meet with Theaters association today [April 13]. 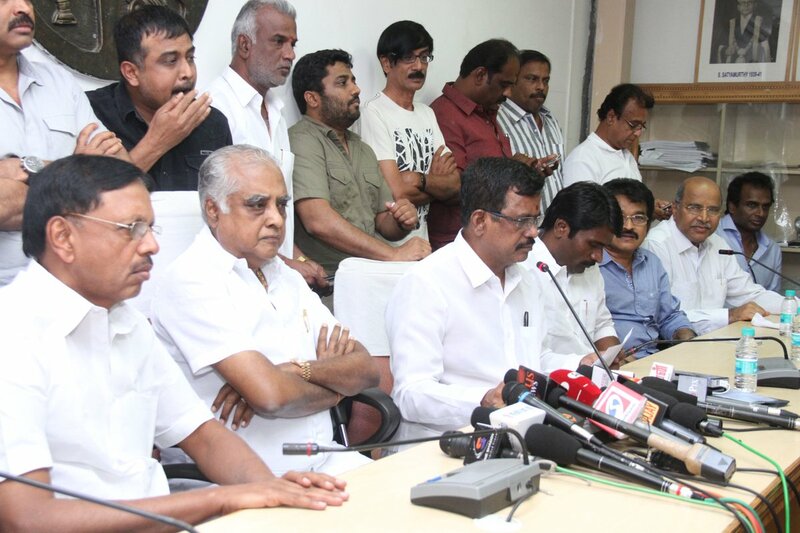 Excerpts from the meet: Tamil Nadu theater owners agreed for smooth release of Uttama Villain, given that Kamal Haasan pays the legal charges for a petition filed in CCI [Competitive Commission Of India] for red card over Viswaroopam. Kamal is also expected to withdraw the petition. It is worth mentioning that during Vishwaroopam release, Kamal had plans to release the film in DTH but he dropped it later as the Tamil Nadu Theater Owners Association openly said that they will ban the film. Following the threat, Raj Kamal Films filed a case at Competitive Commission Of India and sources say that Kamal's side is having the upper hand in the legal battle which means the theater owners association should pay a mammoth fine amount. As Uttama Villain is about to release on May 1, there were some external financial pressures to Thirrupathi brothers which are mostly related with the Vishwaroopam's case in CCI. Today, the producer council made it clear that issues related to Vishwaroopam should not influence Uttama Villain and they have said that the film will release on May 1. Sources say that talks are on with Kamal to withdraw case from CCI and Thiruppathi brothers will bear the court charges of theater owners association in Vishwaroopam case. Apparently, Lingusamy decided to bear the court charges. Ramesh Aravind directed Uttama Villain stars K Balachander, K Viswanath, Pooja Kumar, Urvashi, Andrea Jeremiah, Parvathy, Jayaram and others in key roles. Ghibran is the music director.